Discussion in 'Winner Stories - Online Gambling Winners!' started by Marina, Oct 8, 2018. For months now, players have been keeping an eye on the jackpot linked to Microgaming’s most popular jackpot slot, Mega Moolah. The game has always been synonymous with giant payouts, but this time around, it can safely be said that its latest payout is the biggest the industry has ever seen. A lucky player who tried his luck on Mega Moolah slot at Grand Mondial online casino recently, was beyond thrilled – and probably hugely shocked as well – to learn that his minute bet reaped him rewards beyond his wildest imagination. The player, who prefers to remain anonymous, wagered just 75 cents on Mega Moolah using his Android mobile device. Before he knew it, he was staring at more numbers than he had ever encountered after hitting the jackpot. 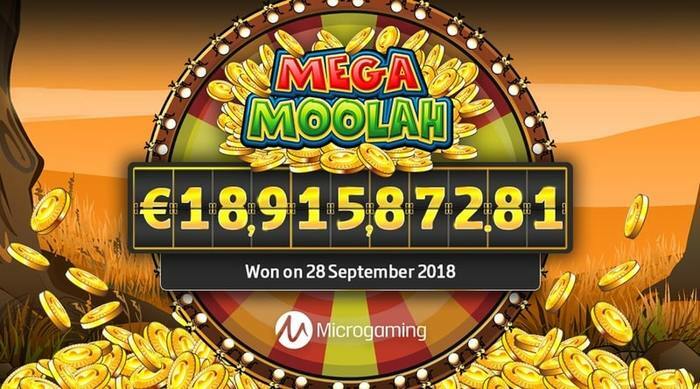 The industry has been high on anticipation in recent weeks, especially since it announced that Mega Moolah’s jackpot surpassed the EUR 12 million mark. Later, the Isle of Man based software group announced that the jackpot has surpassed the previous Guinness World Records title previously held by Mega Moolah for the Largest Jackpot Payout in an Online Slot Machine Game. The previous record was £ 13.2 Million (€ 17,879,645.12). The latest payout sets a new world record, says Microgaming. The winner is set to receive his payout in one lump sum, as in line with Microgaming’s policy of jackpot payouts. This is different to many other software groups where high jackpot wins are paid out in annuities. The Games Publisher at Microgaming, David Reynolds, was beyond thrilled to comment on the latest Mega Moolah jackpot win, especially since it broke all previous industry records. Grand Mondial Casino is part of the Casino Rewards loyalty program. The Promotions Manager at Casino Rewards, Emma Hall, was also on hand to comment on the iconic win. Hall went on to say that Casino Rewards has seen five huge Mega Moolah winners in the past 12 months and now the sixth winner has smashed all records yet. Since its inception, Microgaming’s progressive jackpot network has paid out over EUR 948 million.